With nearly 500 Hatteras Island vacation rentals, a large selection of Hatteras Island Real Estate, and an in-house Hatteras Construction Department, Midgett Realty is the only company you need to call for your visit to Hatteras. Midgett Realty offers many affordable deals on rentals throughout the year that allow you to enjoy your vacation without the large cost. 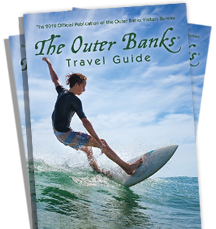 This means you can put more towards the many fun and diverse Hatteras Island activities that the area has to offer. All our rentals are clean, well-maintained, and well-equipped, and you can choose the amenities you desire - a dock for fishing and crabbing or your boat, a private pool, a hot tub, fireplace or even a Pet Friendly Cape Hatteras Rental. Book one of our Hatteras Island Rentals and allow Midgett Realty to make Hatteras Island your home away from home! Be sure to follow us on Facebook, Twitter, and YouTube to stay tuned with all the happenings and events on Hatteras Island, we look forward to seeing you here!